Rock Werchter is a Belgian annual music festival held in the village of Werchter, near Leuven, since 1973. It is one of the five biggest annual rock music festivals in Europe. The 2003, 2005, 2006 and 2007 festivals received the Arthur award for best festival in the world at the International Live Music Conference (ILMC). It can host 85,000 guests daily, of which 67,000 combine all four days, to add up to a total maximum of 139,000 different attendees. Editors on Sunday July 7, Green Day on Thursday July 4. Blur on Friday July 5, and Rammstein, on Saturday July 6, will be performing at the festival. 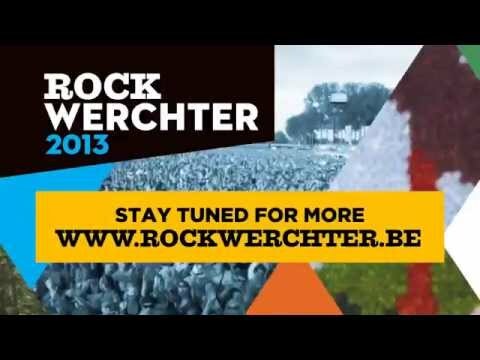 Tickets for Rock Werchter 2013 will go on sale as from Friday November 2nd. More soon! Update: On Friday on the main stage Kings of Leon, and on Sunday will be performing Depeche Mode and Editors. I'll be there on the Rammstein-day! I'll give you a review afterwards as well (normally with pics if I care to take some in the middle of the action). Normally I'll be there too! Great!!!! I love your reviews. Last edited by Maya; 10-20-2012, 11:40 PM. Yes, bought my ticket yesterday. Don't know who of my friends is going yet, but I'll definetly have enough company. Wow. I'm green with envy. Undoubtedly the best festival in europe. I went this summer and I'll go the next year. It actually officially received the title "best festival in the world". I think they mainly based that upon popularity and line-up. Looks like the organistation is looking forward to it. They shared pics they got from the band crew on fb: https://www.facebook.com/media/set/?...5500698&type=1. "No one talks about the music"
I saw them Saturday at Werchter and I was blown away. Maybe it's because it's my first show of them, but it was very good. We stood in front of the mainstage at no more then 15 metres away from te stage. I had a good view on Richard and Till When Flake played on the piano and Till sang 'Mein hertz Brennt', I had tears in my eyes. Playlist was awesome too. Some of their older numbers was played too. There are no plans yet for new material, but I'll hope they bring out some new stuff. Hopefeully they come back next year for concerts and not for festivals. I came across a video from Rock Werchter 2013 from a TV-channel called "Canvas/HD" . It includes a pro-shot of the first 3 minutes of "Wollt Ihr dass Bett in Flammen sehen", and the entire "Ich Will" performance. In addition to a new interview. I know the live performances have been included in another video, but this time they are totally uninterrupted and in much better quality. It includes also a very short interview with Richard. He mostly says the same stuff as in the other Rock Werchter interview, only towards the end he mentions how he wants to "start something new" in his life. Since this was filmed back in 2013, I guess this is nothing new. However it's the first time I have found it on Youtube. PS: I didn't really know were to post this, so I settled for this thread. Last edited by Chrisss Nofff; 09-05-2015, 10:22 PM.